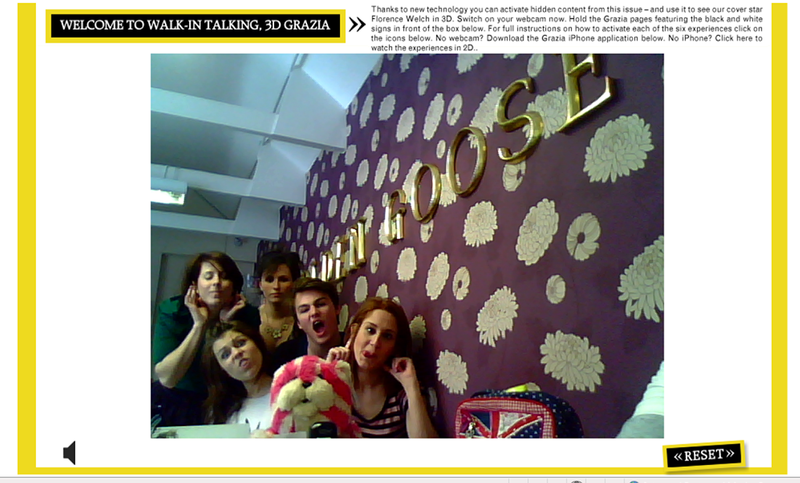 Never ones to shy away from technology, Golden Goose PR’s retail team has fully embraced this week’s 3d issue of Grazia. We’ve been loving augmented reality for sometime but it is brilliant to see it being used by our favourite weekly. 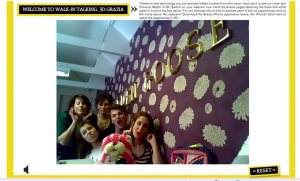 As well as dancing with Flo, we’ve also been pulling silly faces at the Grazia web cam, see pic.